A young child soldier narrates her tumultuous story to her unborn child in the unconventional love story set in the midst of civil unrest in War Witch (French: Rebelle). Montreal-based filmmaker Kim Nguyen’s film paints a poignant and harrowing portrait of Komona, a 14-year-old girl (wonderfully played by nonprofessional actress Rachel Mwanza) who has been kidnapped from her African village by rebels to become a child soldier. She escapes from the camp with an older albino soldier and experiences for the very first time the joys of a peaceful and loving life, but a fresh tragedy will force her to confront and fight the ghosts haunting her mind. 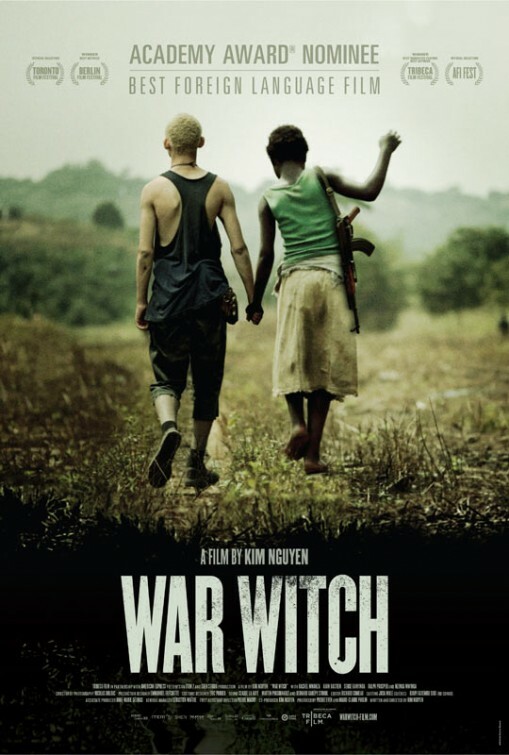 Although inspired by a real story that took place in Burma, Nguyen decided to film War Witch in the Democratic Republic of the Congo without giving a specific location to the plot. He worked on the film for 10 years, watching and catching children’s points of view with his camera and mixing in tightly edited flashbacks in which the spirits of human beings appear with an ultra-realistic and violent storyline. The Best Foreign Film Oscar nominee, War Witch is also a poignant and impossible love story filled with magic, picturesque images, and even light moments like the powerful visit to an albino camp or the chasing of a white rooster. It was also in competition for the Golden Bear at the 62nd Berlin International Film Festival. 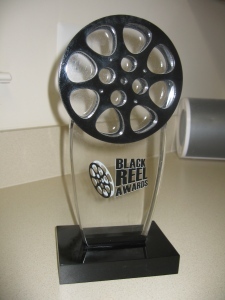 The film was the top winner at the 2013 Canadian Screen Awards,winning 10 awards including Best Picture, Best Director, Best Actress and Best Supporting Actor. To see the trailer for the film, visit our Trailer section!